Patagonia makes the Powder Bowl Pants for the full range of character-building conditions and they™re happily impervious to it all. 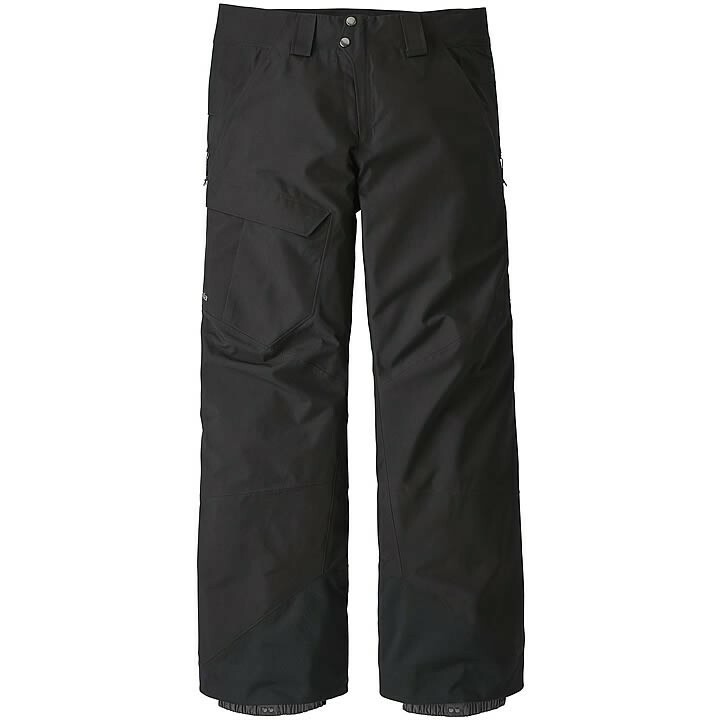 Built with a 100% recycled polyester GORE-TEX® face fabric, the Powder Bowl Pants provide tough, long-wearing waterproof/breathable and windproof protection for skiers and boarders who ride the mountain in all conditions. They feature a refined fit, streamlined styling and a rugged, 2-layer GORE-TEX® fabric, made from tenacious 100% recycled polyester, for exceptional waterproof/breathable and windproof performance in any condition. A DWR (durable water repellent) finish increases wet-weather performance by stopping snow and moisture so you can keep riding through the storm while the crowds call it a day. Inside, a combination of brushed mesh and polyester taffeta line the seat, upper thighs and down the legs to manage moisture and glide smoothly over underlayers. External mesh-lined thigh vents let you regulate your climate on the uptrack, and articulated knees provide unlimited mobility for spontaneous aerials (or recovering from said aerials). Other features include coated, watertight slim zips for reduced bulk, gaiters with tenacious gripper elastic, an embedded RECCO® avalanche rescue reflector, adjustable tabs at the waist for a customized fit burly scuff guards to protect the inside of the leg and hem from ski edges and postholing abuse, clean, simplified styling and a refined fit. Pockets include two handwarmers, one thigh and one in back. Inseam length is 30½".